We all know board games are fun to play and we get them for our kids so they can enjoy them. But, did you ever stop to think how many valuable skills they’re really learning? 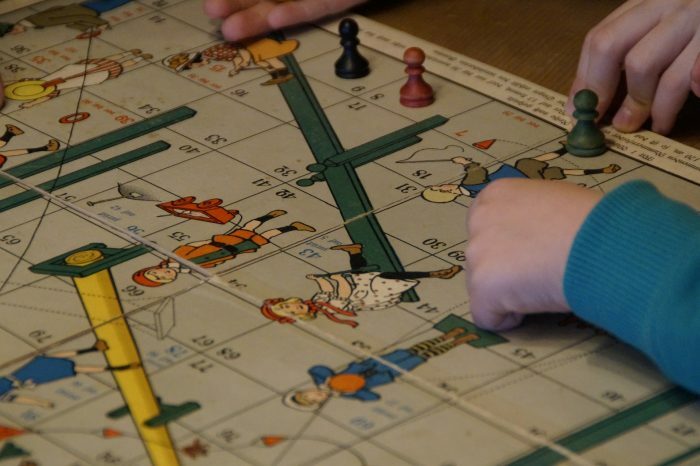 Sure they learn great math skills from some games, geography from others – but what they really learn from playing any board games are valuable life and developmental skills that make no difference how advanced, educational or skilled the game itself is. From the time children are born they begin to enjoy play not just because it’s fun, but because it’s how they learn. As children grow their play becomes more complex as they learn more and more. A wonderful cycle begins as a child masters each new challenge and their brain development increases. For an awesome infographic on how this process works and more info – check out Gooey Brains – Using Play to Build the Brain. What to really look for when you’re choosing board games for your child they need to be a little bit of a challenge for their development level, but they also need to be able to master it easily to build their confidence. And of course, they need to be fun and engaging! One of the great things about games is that they don’t need to be overtly academic in order for children to learn valuable developmental skills. But, when an educational element is added into the play, such as geography, history, spelling, math, or color recognition, the child is benefited even more!